The long gangly arms, the large head still barely containing the wide-set eyes, one almost always set off askance. 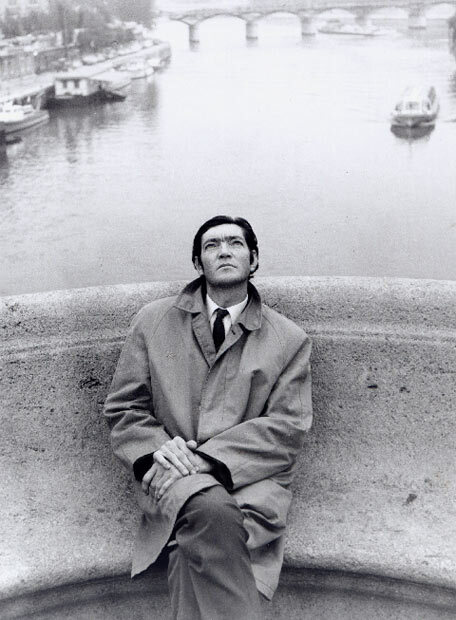 Julio Cortazar was an imposing presence. Probably a self-conscious Hemingway-esque romantic even in his own time from the looks of all the images and obvious photo shoots. How many photo shoots are necessary for a writer? Well, how many tweets and Facebook posts? The image is but a kind of status update–and one that endures a bit more for all that. 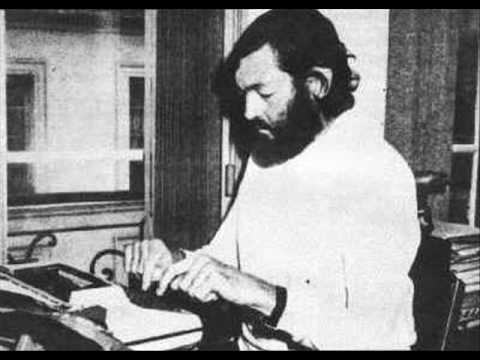 Living with more than a fair degree of notoriety in his own lifetime, Julio Cortazar claimed not to have been so pleased with his fame toward the end of his life, but however tragically it may have ended, it was a fame he crafted for years. For all his south American and international Parisian glamor, in fact he remains largely unknown to an ever-expanding English-speaking audience. Not that this is so terrible, it’s just something the mulitlingual writer would have been no doubt disappointed with. For one thing, he became a student of Edgar Allan Poe, translating numerous stories of the mad genius. 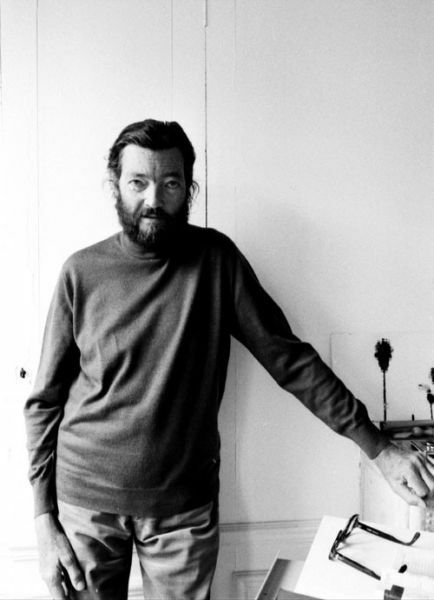 For those of us who didn’t grow up knowing anything about Cortazar, he is more known for his mastery of the short story form, and his experiments with the “fantastic,” publishing over 80 stories in his lifetime. Below are some excerpts from an interview that Jason Weiss conducted with him. For the complete interview and more biography visit the Paris Review page. You have said at various times that, for you, literature is like a game. In what ways? 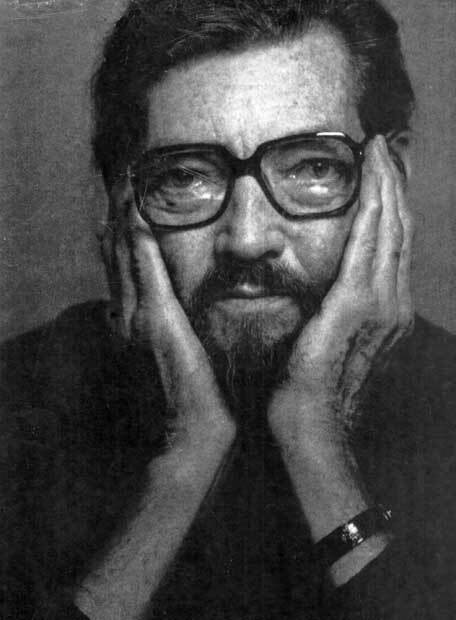 CORTÁZAR: For me, literature is a form of play. But I’ve always added that there are two forms of play: football, for example, which is basically a game, and then games that are very profound and serious. When children play, though they’re amusing themselves, they take it very seriously. It’s important. It’s just as serious for them now as love will be ten years from now. I remember when I was little and my parents used to say, “Okay, you’ve played enough, come take a bath now.” I found that completely idiotic, because, for me, the bath was a silly matter. It had no importance whatsoever, while playing with my friends was something serious. Literature is like that—it’s a game, but it’s a game one can put one’s life into. One can do everything for that game. When did you become interested in the fantastic? Were you very young? CORTÁZAR: It began in my childhood. Most of my young classmates had no sense of the fantastic. They took things as they were . . . this is a plant, that is an armchair. But for me, things were not that well defined. My mother, who’s still alive and is a very imaginative woman, encouraged me. Instead of saying, “No, no, you should be serious,” she was pleased that I was imaginative; when I turned towards the world of the fantastic, she helped by giving me books to read. I read Edgar Allan Poe for the first time when I was only nine. I stole the book to read because my mother didn’t want me to read it; she thought I was too young and she was right. The book scared me and I was ill for three months, because I believed in it . . . dur comme feras the French say. For me, the fantastic was perfectly natural; I had no doubts at all. That’s the way things were. When I gave those kinds of books to my friends, they’d say, “But no, we prefer to read cowboy stories.” Cowboys were especially popular at the time. I didn’t understand that. I preferred the world of the supernatural, of the fantastic. What are your writing habits? Have certain things changed? CORTÁZAR: The one thing that hasn’t changed, and never will, is the total anarchy and the disorder. I have absolutely no method. When I feel like writing a story I let everything drop; I write the story. And sometimes when I write a story, in the month or two that follows I will write two or three more. In general, the stories come in series. Writing one leaves me in a receptive state, and then I “catch” another. You see the sort of image I use, but it’s like that; the story drops inside of me. But then a year can go by where I write nothing . . . nothing. Of course, these last few years I have spent a good deal of my time at the typewriter writing political articles. The texts I’ve written about Nicaragua, everything I’ve written about Argentina, have nothing to do with literature—they’re militant things. Do you have preferred places for writing? CORTÁZAR: In fact, no. In the beginning, when I was younger and physically more resistant, here in Paris for example, I wrote a large part of Hopscotch in cafés. Because the noise didn’t bother me and, on the contrary, it was a very congenial place. I worked a lot there—I read or I wrote. But with age I’ve become more complicated. I write when I’m sure of having some silence. I can’t write if there’s music, that’s absolutely out. Music is one thing and writing is another. I need a certain calm; but, having said this, a hotel, an airplane sometimes, a friend’s house, or here at home are places where I can write. In the biographical notes in your books, it says you are also an amateur trumpet player. Have you ever played with any groups? CORTÁZAR: No. That’s a bit of a legend that was invented by my very dear friend Paul Blackburn, who died quite young unfortunately. He knew that I played the trumpet a little, mainly for myself at home. So he would always tell me, “But you should meet some musicians to play with.” I’d say, “No, as the Americans say, ‘I haven’t got what it takes.’” I didn’t have the talent; I was just playing for myself. I would put on a Jelly Roll Morton record, or Armstrong, or early Ellington—where the melody is easier to follow, especially the blues which has a given scheme. And I would have fun hearing them play and adding my trumpet. I played along with them . . . but it certainly wasn’t with them! I never dared approach jazz musicians; now my trumpet is lost somewhere in the other room there. Blackburn put that in one of the blurbs. And because there is a photo of me playing the trumpet, people thought I really could play well. As I never wanted to publish before being sure, it was the same with the trumpet—I never wanted to play before being sure. And that day has never arrived. And it can be difficult enough as it is balancing life and literature. CORTÁZAR: Yes and no. It depends on the kind of priorities. If the priorities are, like those I just mentioned, touching on the moral responsibility of an individual, I would agree. But I know many people who are always complaining, “Oh, I’d like to write my novel, but I have to sell the house, and then there are the taxes, what am I going to do?” Reasons like, “I work in the office all day, how do you expect me to write?” Me, I worked all day at UNESCO and then I came home and wrote Hopscotch. When one wants to write, one writes. If one is condemned to write, one writes. Have fame and success been pleasurable? CORTÁZAR: Ah, listen, I’ll say something I shouldn’t say because no one will believe it, but success isn’t a pleasure for me. I’m glad to be able to live from what I write, so I have to put up with the popular and critical side of success. But I was happier as a man when I was unknown. Much happier. Now I can’t go to Latin America or to Spain without being recognized every ten yards, and the autographs, the embraces . . . It’s very moving, because they’re readers who are frequently quite young. I’m happy that they like what I do, but it’s terribly distressing for me on the level of privacy. I can’t go to a beach in Europe; in five minutes there’s a photographer. I have a physical appearance that I can’t disguise; if I were small I could shave and put on sunglasses, but with my height, my long arms and all that, they discover me from afar. On the other hand, there are very beautiful things: I was in Barcelona a month ago, walking around the Gothic Quarter one evening, and there was an American girl, very pretty, playing the guitar very well and singing. She was seated on the ground singing to earn her living. She sang a bit like Joan Baez, a very pure, clear voice. There was a group of young people from Barcelona listening. I stopped to listen to her, but I stayed in the shadows. At one point, one of these young men who was about twenty, very young, very handsome, approached me. He had a cake in his hand. He said, “Julio, take a piece.” So I took a piece and I ate it, and I told him, “Thanks a lot for coming up and giving that to me.” He said to me, “But, listen, I give you so little next to what you’ve given me.” I said, “Don’t say that, don’t say that,” and we embraced and he went away. Well, things like that, that’s the best recompense for my work as a writer. That a boy or a girl comes up to speak to you and to offer you a piece of cake, it’s wonderful. It’s worth the trouble of having written. Below is a video of a reading with English subtitles of The Pursuer (El perseguidor), one of Julio Cortázars greatest literary achievements and a classic of 20th century literature, and a part of his incredible short story collection, Blow-Up: And Other Stories. With a magisterially-handled existential background, the story describes the final days of Johnny Carter, a virtuoso saxophonist whose life takes place on the knife-edge between lucidity and self-destruction. Since its publication in 1959, this tribute by Cortázar to the genius Charlie Parker has aroused the passion of innumerable readers, who have considered it, like Rayuela, a formative experience. The great illustrator José Muñoz has been able to interpret with extraordinary talent the depth of this fiction in which jazz, nights of insomnia and Paris in the Fifties are the framework for a story beyond compare. Several women raising money for breast cancer run were being hit twice, once trained as an exclusively female-related disease. Wasik, a little about it. Women who have had cosmetic or reconstructive surgery. It is not easy to accommodate oneself in limited space. expenses to judge whether they can actually afford a car payment. eliminate the antenna and eliminate car stereoeliminate car stereo, eliminate the antenna and take out by squeezing the tabs and with that, the radio is outside.